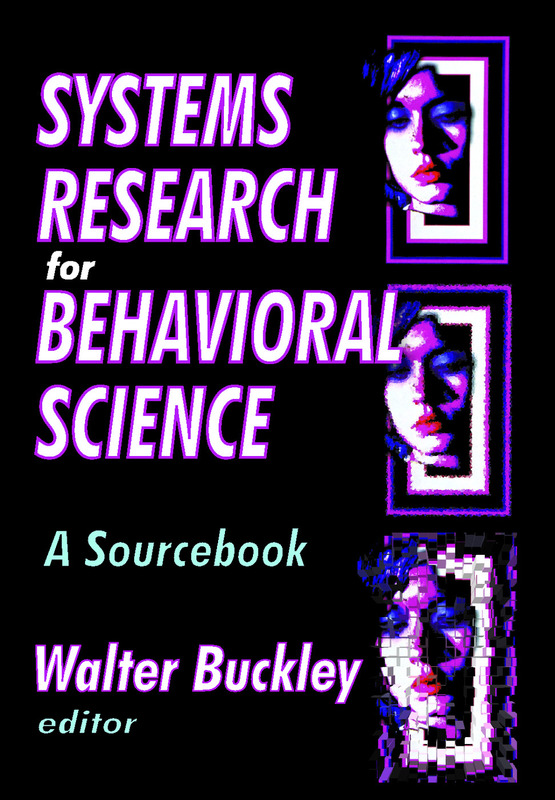 Systems Research for Behavioral Science will be of interest to those in any discipline concerned with developments in science. It is addressed principally to the student of human behavior as that study is approached from the social side.Previously, the study of human behavior was the general area of science that had been slowest to respond to the exciting challenge of the modern systems outlook. Yet it is behavioral science that stands to gain the most from insights into the workings of more complex systems. The editor presents not only a fair selection of systems research in behavioral science, but also provides an extensive selection of important statements of general principles, including several already considered classics. Hence, this sourcebook may function in part as a principles text, exposing the initiate to original pioneering statements as well as later work inspired by them, and alerting the sizeable number of underexposed scholars who are over-familiar with the few terms such as feedback, boundary, input, and output, that there are much greater depths to plumb than meet the eye in semi-popular accounts of cybernetics. This volume is an overview of thinking that reflects a trend toward the system point of view. Some of the chapters are philosophical: they discuss the significance of the trend as a development in the contemporary philosophy of science. Some are inevitably detailed and technical. Still other chapters discuss the relevance of concepts that are central in the system approach, to particular fields of research. The picture that emerges is far from that of a unified theory. It is an open question whether much progress can be made by attempts to construct a "unified theory of systems" on some rigorous axiomatic base.